Remind me to never move south of the Mason Dixon line. Too hot, humid, and sticky for this gal. Plus, I haven’t learned how to mosey yet so I would just be the sweaty odd duck down there, walking and talking much too fast. I could get behind the biscuit situation, however. And caramel cake. Ohio is proving too hot and sticky right now – we are literally 3 days into a week long heat wave and I am withering and wilting and fear I may cease to exist come Labor Day. I will not talk about the hats, cowls, and scarfs I am knitting in my air conditioned home in preparation and anticipation of crisper cooler air. We will not talk about that in case jinxing is a thing ( it is) and this heat wave lasts beyond the first week of September. Dear Lord, help me if it does. While summer is fighting and struggling (quite well) to stick around for a bit longer and since I have little affect on the weather patterns (much to my dismay) I am trying my darndest to make the best of it. Evening runs have become a scavenger hunt of sorts. I crisscross streets and weave through the neighborhood searching out and running through every sprinkler I can find. Because I can. Because it is refreshing. Because I am 10. When it is sticky and the air so very still and thick, there is no better place to be than on or near the lake. I finally tried stand up paddle boarding after watching folks do it all summer. I fell just once, the cool water being just what the doctor ordered. When I am out next time, I might jump off on purpose – just don’t watch me get back on the board … there is more shimmying than any adult should be doing. And if sprinklers and lake activities don’t bring about relief, bring on the booze. Gin is my summer drink of choice and normally I am a gin and tonic with a slice of lime gal. Simple, refreshing, and quite satisfying. That is until I encountered a bees knees made with rosemary infused honey syrup a few weeks ago and couldn’t wait to recreate at home. This hot and sticky situation out my front door is giving me reason to whip up another batch! 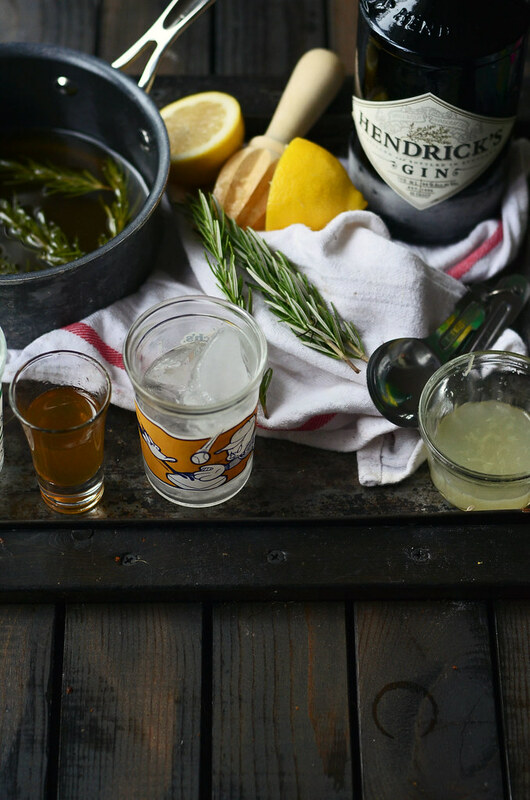 I bet that if you are gin fan and have a bit of a green thumb then you have everything you need for this drink in your kitchen. If you don’t have a green thumb, go buy some rosemary in the produce aisle ( I had to…I killed all my herbs. Again. ). If you don’t like gin then you don’t have any in your freezer and you will not like this cocktail – sorry, Charlie. 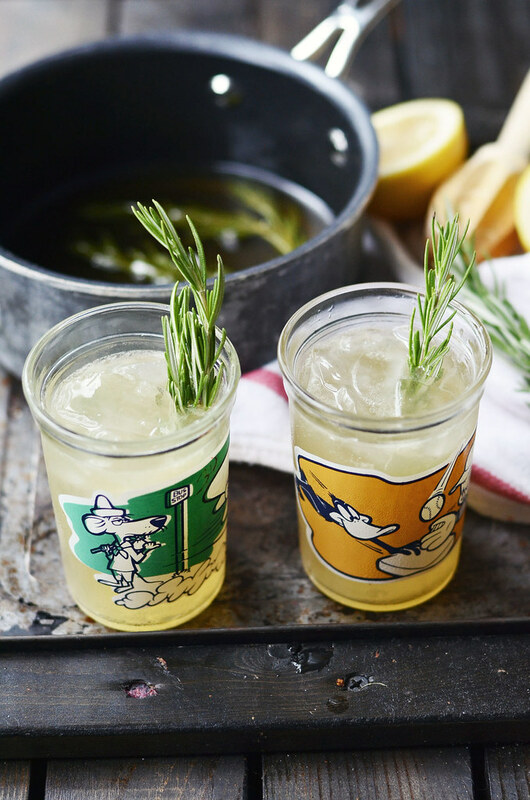 I have always been a drink my cocktail out of a jam jar kind of lady…So when I stumbled upon these gems at the Cleveland Flea a few weeks back…I couldn’t resist. I have all of them except Tweety…I have been roaming eBay but since I am still banned from eBay because of a certain sibling…I will continue to search flea markets and thrift stores. 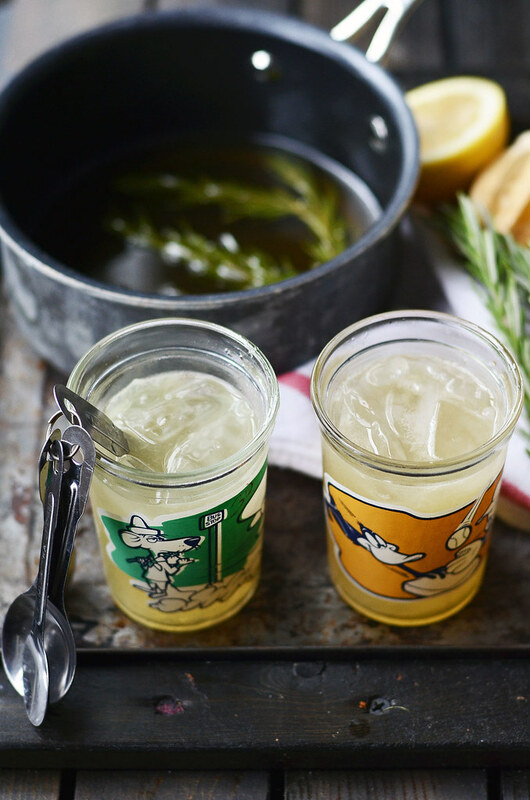 You will need honey, water, rosemary – the fixin’s for rosemary infused honey syrup. 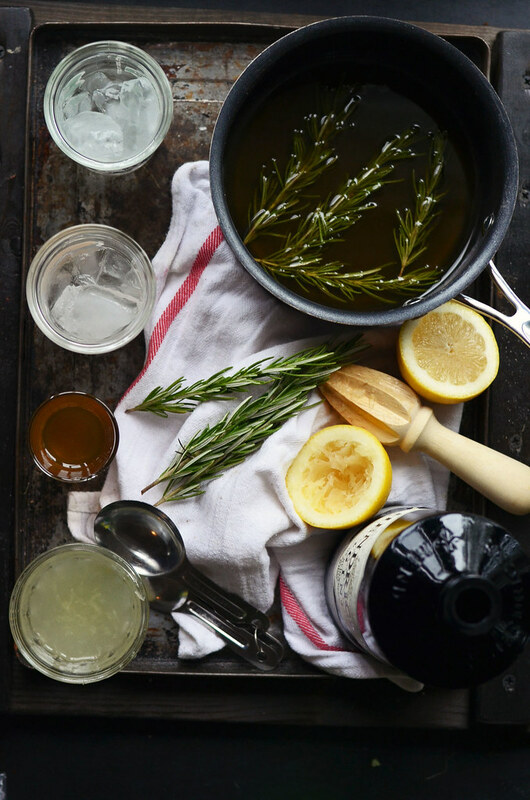 Follow that up with ice, freshly squeezed lemon juice, gin, a splash of club soda, and a final sprig of rosemary for flare. Once made, I recommend finding a cozy spot under a shade tree, toss in some good company…and the summer heat will soon be a distant memory. In a small saucepan, combine water and honey. Place over medium low heat and stir occasionally until honey dissolves into water. 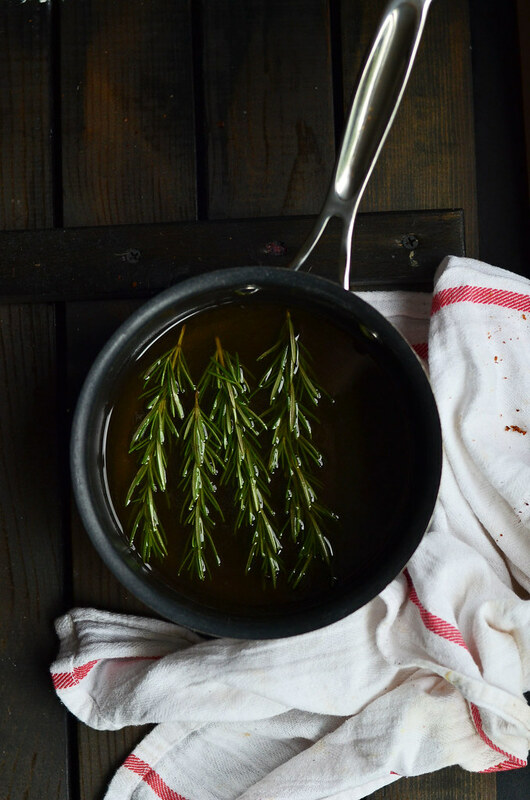 Remove from heat and add rosemary sprigs. Let syrup cool completely before using. Can be made ahead and stored in a tightly closed container in fridge. 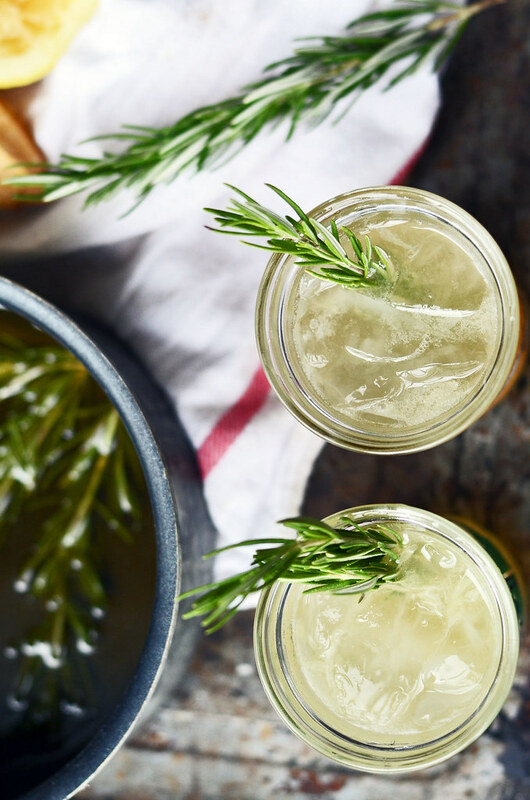 Leave rosemary sprigs in for enhanced flavor. Fill a glass ( at least 6 or 8 ounce size) half way with ice. 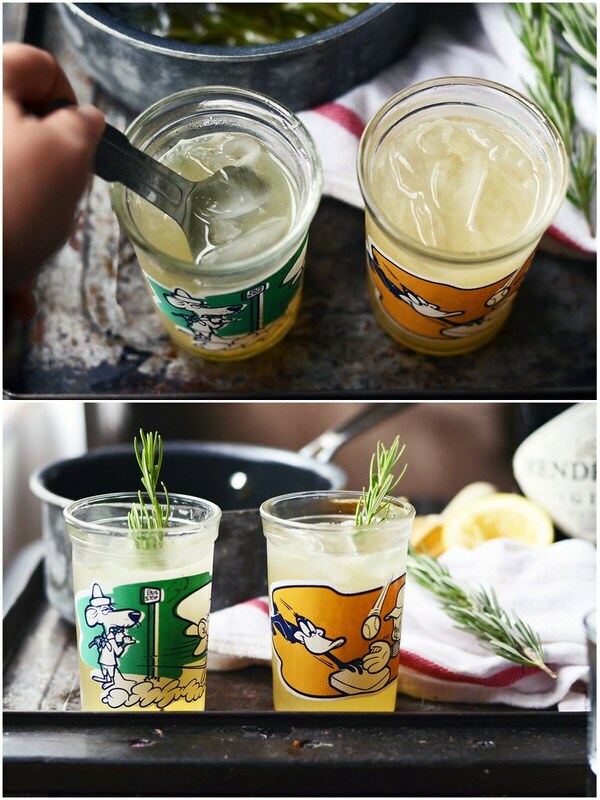 Add gin, syrup, and lemon juice. Stir to combine. Top off with club soda. 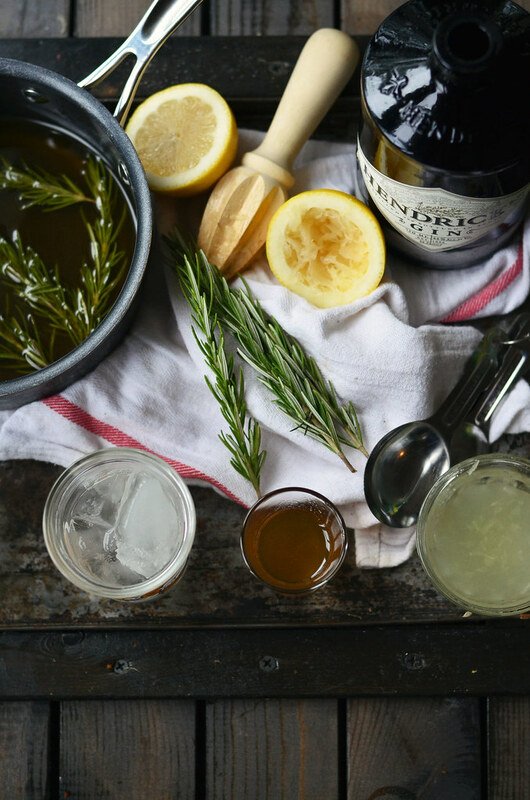 Finish with a sprig of rosemary and enjoy! If you aren't a fan of sweet drinks, cut back on the syrup to ¾ ounce. I liked it both ways!